If you're in the Sugar Land area for New Year's Eve, why not drop by the Town Square for the free, family friendly festivities? The highlight (of course) being that I'll be playing with Fried Ice Cream and the big Sugar Cube Drop that will take place at midnight. It should be pretty neat, right? I'll be playing with Thomas Helton's Tribute band on January 9 at Ovations. I'm really excited about this because we'll be performing Miles Davis' classic Birth of the Cool in its entirety. It's my first time playing any of these tunes, so I've been really studying up on my classic bebop and cool jazz improvisation styles. Sometimes orchestras perform historical concerts on period instruments, and I feel like this is no different from that. 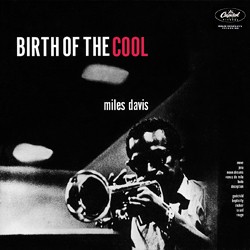 But The Birth of the Cool is an historical artifact that I feel is still relevant and influential to many jazz musicians. It's going to be a lot of fun! Finally, on February 25 & 26, the 13th Annual Moores School of Music Jazz Festival is taking place. This year's guest artist is trombonist Andy Martin. He will be giving free noon clinics and a performance with the MSM Jazz Orchestra on Saturday night's concert. You won't want to miss the spectacular concerts on both nights, though. You can always keep up with what I'm doing by checking out my calendar of events, too.